"You have done it. 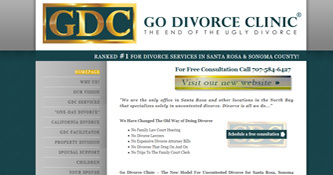 You have me on page one google search for mediation divorce. I am just floored. ANY client you want a personal testimonial from I will talk to them directly, any time on your behalf. You just have them call me. Unbelievable. I am speechless. AND GRATEFUL beyond words. "With their tireless work and attention to detail, not only did I get a stunning website in a short period of time, I got the peace of mind knowing that when I need there services again, I can just hand my them my project knowing that not only will it meet all my expectations, it will exceed them." 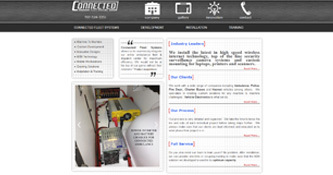 "They truly went above and beyond our expectations and they are the company we recommend for any website projects. Thank you Business Wesbite Center for helping us rise to a new level of success." 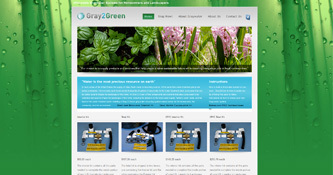 "My site has provided a huge boost to my business. Virginie is a genius at optimization; I just googled me and there I was right on page 1! I highly recommend Virginie for quality, professionalism and results." "Virginie Dorn and her Business Website Center developed a new website for the Hana Cultural Center, a nonprofit organization on Maui. She was very easy to work with and very helpful. I know from experience, one of the hardest things to do it get the client to come up with the content for a site, but their team was very patient and helpful to guide us along, gather the content needed, and launch a professional website that is a major upgrade from what we had before. We are very thankful to Virginie and her team for providing us with this excellent service." You have helped me reach so many lives I would not have otherwise had opportunity to with your service to me and my business activities. You have helped me position myself with the appropriate media posturing enhancing my credibility. This is just what I needed to keep moving forward at this time in my life. Finding you and your services will rank as one of my all-time best moves and investments. "I personally have worked with Virginie and known her and her business for over 15 years. I can give her and her staff the highest recommendation. They give their utmost attention to detail and to customer service (i.e. prompt delivery, professional, friendly). Being in business myself for 50 years now I have experienced many business environments. I can truly say you will be pleasantly surprised by working with such caring and conscientious people. 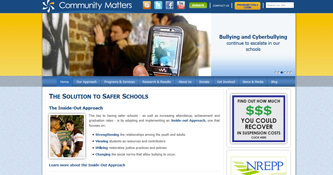 "A few years ago I thought I would design my own website using a template platform for my Counseling Center of Santa Rosa. Needless to say it didn't go too well! I met Virginie at a BNI meeting and discovered a "gem in Sonoma County." Virginie and the team at Business Website Center were so wonderful to work with. 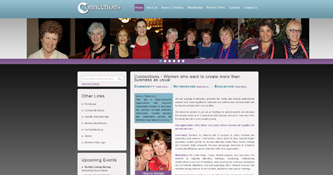 They helped me create business cards and a terrific professional website. Each one of the team took time to understand my needs and worked with me at my current level of understanding which was important so that I can now manage the site on my own with the CMS. I was amazed and delighted that Virginie was able to design and deliver a quality product earlier than expected and at a cost that was affordable. 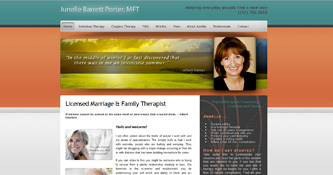 Thanks also for optimizing my site so that the people who want and need counseling services are able to find me. I highly recommend Virginie and her team for every website need. I'm happy to provide a reference for Business Copy Center to anyone who would like one." Thank you Virginie Dorn at Business Website Center for sharing the importance of professional women promoting ourselves with purposeful intent through our business websites and social media; harnessing the potential of the internet to elevate ourselves with strategic planning and call to actions! You are the expert webmaster! I appreciate you inviting me to be your special guest at the seminar on "Professional Women and the Internet". "I am very grateful I found and hired Virginie to create and optimize my website. Virginie and her talented graphic designer Nate, sat down with me to create colors, images and stylizations that beautifully reflect me and my business. Not only do I have a website and online presence that I am very proud of, my site is also well optimized and coded. People are finding me. My site has provided a huge boost to my business. Virginie is a genius at optimization; I just googled me and there I was right on page 1! 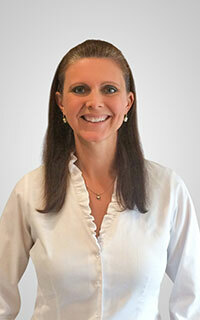 I highly recommend Virginie for quality, professionalism and results." 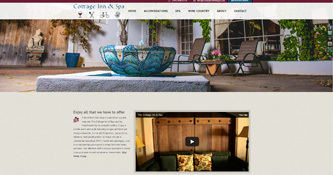 "What a pleasure it has been to have Virginie Dorn and her staff create my website. As an artist, I can truly appreciate their ability to present to me the design and layout of my new website that so perfectly represented my work. I was at a loss for website planning design, how nice to have such talented designers that understood the feel I wanted to portray. With their tireless work and attention to detail, not only did I get a stunning website in a short period of time, I got the peace of mind knowing that when I need there services again, I can just hand my them my project knowing that not only will it meet all my expectations, it will exceed them." 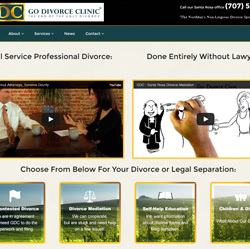 "Our previous website had many problems and it was cumbersome and outdated. We approached Virginie and her design team to create a more modern and user friendly website. Virginie took our vision and gave us just what we wanted and in record time! She was always available to answer questions and spent a lot of time with us to understand just how we wanted our site to function. Virginie and her team also did a great job at helping us to define and redefine the functionality of our site. 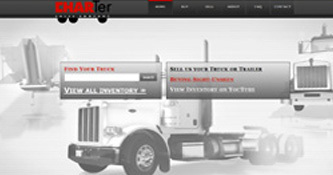 Now that the website is completed we are able to effectively manage it ourselves. 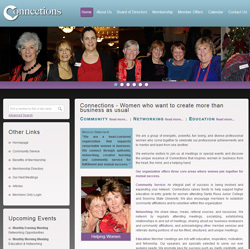 We appreciate how Virginie supports women in business and we highly recommend her web design services to anyone." 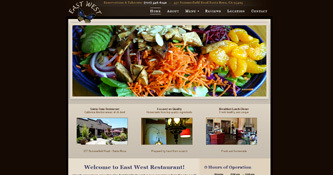 "Boy am I a lucky one to live close by the best copy center and web designer in Santa Rosa. After two disastrous attempts of getting a web site built for my personal training business "SILVER FOX FITNESS"
I found Virginie, the owner of Business Website Center. 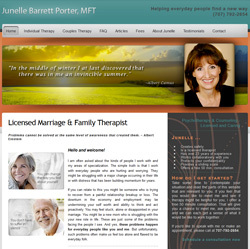 She caught my vision, ran with it and created an amazing and powerful web site for me. She is so nice, personable, creative and fast to boot. I'm so impressed with her. If you need a web site built go to Virginie, you too will be more than pleased. She promises and she delivers!!" 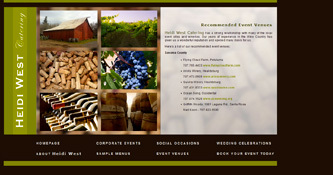 "It has been an amazing experience working with Business Website Center! Virginie listened to what I was trying to convey with my website and turned it into reality. The staff at Business Copy Center is responsive, personable, professional and a pleasure to work with. My website is getting amazing positive feedback and I owe it all to Business Copy Center!" Tracy Mattson - Cookie... take a bite! 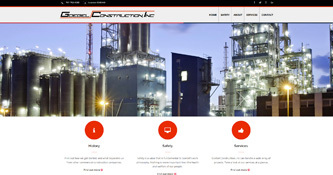 "Hiring the team at Business Website Center for our new corporate website was one of the best decisions our company made. Their knowledge of the latest coding techniques such as intricate Responsive Designs and custom PHP programming skills are above their industry peers. 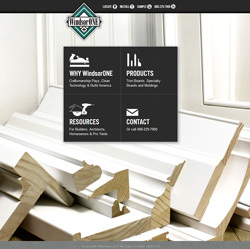 They truly went above and beyond our expectations and they are the company we recommend for any website projects. Thank you Business Wesbite Center for helping us rise to a new level of success." I just did a Google of Homeowners Insurance Santa Rosa and Homeowners Insurance Sonoma County. Guess who was on the first page??? MEEEEE!!! You rock! Worth every penny!!! "Virginie Dorn and her staff are very good at what they do, and everybody has a smile in their voice. They want you to be fully satisfied. And I was!" "It's hard to know where to turn for web optimization with so many companies over promising and completely under delivering. That's why we were so excited to learn that the business copy center offers this service as well. They did what they said they would do in less time than they said it would take! I would recommend anyone interested to go get a free estimate. With the help of the business copy center we are now getting tons of calls from people who found us online!" "Virginie Dorn and the staff of copy center took everything we visualized and created a great website for our company as well as business card's and our company brochure. The copy center offers great customer service and high customer care. I recommend their services to any and everyone who is looking for quick quality work"
"The best, friendliest, and most efficient team in town!" "I can honestly say that everyone on Virginie's staff is friendly, knowledgeable, and eager to help. I've worked with Virginie on a professional and associate level in several groups in Sonoma County (Rotary, Chamber, etc ...and appreciate her dependability, creativity and commitment to excellence. (Not to mention, she's such a nice person--a pleasure to be around and to work with). The quality she & her team deliver professionally is ALWAYS more than I expect and communication is great." "Virginie is a deliberate and consistent business woman who makes certain that her customers are happy from start to finish of a project. She and her team are delightful to work with, in addition to being very talented. As a bonus, Virginie is one of the best networkers I know, and goes the extra mile to connect people and businesses." "I am a new owner of a small business. Being new, I wasn't quite sure if creating a website was in my budget. I opted to make one on my own. Needless-to-say, it was not professional. I met a very friendly business owner that owns a office near my home and we talked about websites briefly. Although I am not an easy customer, I was never made to feel like I was a nuisance. I was made to feel that my business was appreciated at Business Copy Center. As for the website, all I can say is that I was lucky to have met someone that could make a professional, functional and amazing website for my new little business. Thank you Business Copy Center for your hard work, creativity and patience with this new business owner that was lost!" For additional referral from customers, please contact us directly by email. Join these extremely satisfied Sonoma County and Marin County companies. "Thank you everyone for your kind words and continued support. It is much appreciated. You are the best clients one can dream of." 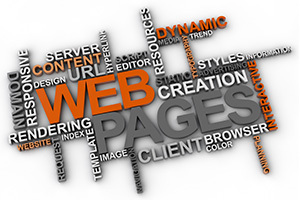 Our highly experienced web developers can turn any design into reality. Though we have our own graphic design on staff, we can work with your graphic designer of choice. We believe in transparent collaboration. Using practices that are considered above and beyond the web standards of today, as well as the most modern technologies available, your website will be optimized for all search engines. It will hold its own as the web continues to grow and develop. 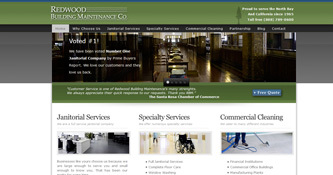 If you are looking for the best in clean business web site designs, look no further. Our name says it all! Business Website Center primarily caters to businesses who want a site that looks professional, loads quickly, is easy to navigate and is search engine friendly. Our team shares the belief that there is a formula to sites that deliver quality leads to their owners.